SAMAR, THE PROTAGONIST of Pankaj Mishra’s novel, The Romantics (1999), finds his life changed by reading Edmund Wilson. Distant as Wilson’s Manhattan is from Samar’s late twentieth-century Benares—a Hindu holy city yielding reluctantly to modern times—Samar finds an abiding salience in Wilson’s foreign voice. A literary critic with a genius for clarity, Wilson triumphed over the obscurity of modern art, providing an East-West bridge in The Romantics, though the novel is a treatise on cultural disharmony. Wilson’s perfect sentences bring Samar a dream of the West, a place he is unlikely to visit. Mirroring Samar’s dream is a fantasy of the East, a dream of spiritual irreality and third-world purity, which captivates Western tourists and prevents them from witnessing actual India. The romanticism of The Romantics is the stylized longing to voyage outside one’s own culture and into another’s. The novel’s leitmotif—the melancholy embrace into which East and West have fallen—is also the leitmotif of Mishra’s new book, a group biography of three Asian intellectuals from the late nineteenth and early twentieth century. Echoes of Wilson sound in this work’s structure and style, and From the Ruins of Empire recalls To the Finland Station, Wilson’s belletristic history of the Bolshevik Revolution. Like Wilson, Mishra scrutinizes politics through the lens of intellectual biography, joining lines of historical development to the curves of individual destiny, the detail of politics to the density of political thought. Mishra shifts Wilson’s “to” to “from” in his own book’s title. From the ruins of empire: an oscillation away from nineteenth- and twentieth-century imperialism, away from Western dominance and toward Asian hegemony, a subject as big as Wilson’s and as open-ended. Having abandoned the short twentieth century, with its Soviet center of gravity, Mishra makes 1905 his pivot point. In this year, Japan defeated Russia at sea: “it is the Battle of Tsushima that seems to have struck the opening chords of the recessional of the West,” Mishra declares, as if World War I, World War II and the Cold War were footnotes to the Russo-Japanese War. With Asian victories in mind, Mishra traces the trajectory of Asian thought, not so much in isolation from the West as in opposition to the West, a quest for the cultural and political foundations on which a modern Asia might stand. Mishra does not believe that these foundations can be supplied by Kant or de Tocqueville or Thomas Jefferson, despite the attraction of some Asians to the Euro-American Enlightenment. As such, From the Ruins of Empire resonates with decades of post-colonial theorizing—with the books and essays from Gayatri Spivak, Homi Bhabha, and Dipesh Chakrabarty—without being theoretical at all. Mishra is too beguiled by the tangible specificities of intellectual history to be a theorist. The foundational intellectuals at the core of Mishra’s story turned “to a traditionalist worldview grounded in fealty to the moral prescriptions of Islam, Confucianism and Hinduism.” Mishra singles out three in particular: Jamal Al Din Al Afghani(1838-1897), Liang Qichao (1873-1929), and Rabindranath Tagore (1861-1941). Their milieu was “a long line of bewildered Asians.” Products of a broken past, these are cousins of the superfluous men who populate Russian literature—Raskolnikov, Ivan Karamazov, Pierre Bezukhov—disoriented and intelligently ill at ease. They are “men accustomed to a divinely ordained dispensation, the mysterious workings of fate and the cyclical rise and fall of political fortunes, to whom the remarkable strength of small European nation-states would reveal that organized human energy and action, coupled with technology, amount to a power that could radically manipulate social and political environments.” Against this psychological backdrop, Mishra explores two insights, each formulated by Asian intellectuals in the late nineteenth and early twentieth centuries: Asians need to acquire the technical secrets of Western power, thereby avoiding second-class citizenship in the modern world; and in the process, they need to preserve their civilizations, which are not European. Asia, for Mishra, extends from Japan to Egypt and from Turkey to Indonesia. The Muslim, Confucian, and Hindu impulses in Asia are stronger than any shared geographic sensibility. Asia is united mostly by the legacy of Western imperialism. In finely wrought biographical portraiture, Mishra lays bare an intellectual transformation whereby the chains of Western imperialism were broken and a self-consciously modern Asia envisioned. This transformation happened across inner-Asian borders. Born in Persia, Al Afghani traveled the fragmenting Muslim world of his day, searching for ways to undermine British dominion over Asia and aspiring toward a “protective modernization” of Muslim lands. Horrified by “the uprooting of young Muslims from their tradition,” Al Afghani cherished religious piety, while urging Muslims to take an interest in modern science and politics. His writing and public speaking often fell into the category of modern journalism and political advocacy, a spirited engagement with the facts and potentialities of the present moment. His influence was extraordinary, approaching Marx’s, Mishra contends, “at least in its longevity.” Al Afghani’s children include Muhammad Iqbal, the poet-hero of Pakistan; Mohammad Mossadegh, the Iranian statesman; the theorists of the Iranian Revolution; the Sayyid Qutb and the Muslim Brotherhood. For the disparate exponents of political Islam, including many who would march in the Arab spring, Al Afghani is a founding father. Liang Qichao was, in Mishra’s words, “China’s first, iconic modern intellectual.” He was not a communist. He was, rather, a trained admirer of Confucianism, fascinated by the prospect of a strong Chinese state—the opposite of the Chinese state he knew first-hand. Imbued with a social Darwinist appreciation for competition, Qichao blended Confucian notions of social harmony into the call for economic and technological progress. “His suspicion of the chaos of republican democracy” derived from disillusionment with American democracy (and from his travels in America). All of this makes him an originator of the current Chinese ideology, a prophet of China’s one-party state and of China’s “participatory nationalism.” Qichao’s theoretical influence may be more relevant, by now, than Mao’s. Tagore differs from Al Afghani and Qichao. Winner of the 1913 Nobel Prize for literature, Tagore was well known outside of India, but he cannot be linked to today’s India as Al Afghani can be related to the narrative of political Islam or Qichao to China’s evolving superpower status. 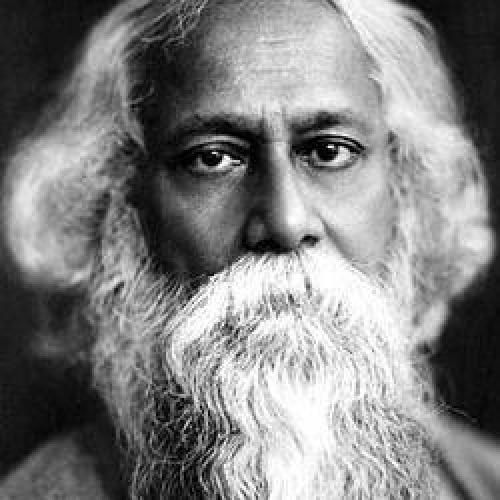 Tagore was drawn to the agrarian milieu of pre-capitalist India, to the villages where divinely ordained dispensation had a spiritual context. Urbanizing, modernizing India is fleeing from Tagore’s ideal, a circumstance Mishra has examined to beautiful effect in Butter Chicken in Ludhiana (1995) and Temptations of the West (2006), non-fiction books covering the contemporary Indian and Asian scene. Tagore’s radiant words enshrine a wisdom against which India’s geopolitical ascendancy can be measured. From the Ruins of Empire honors the intentions of its author. Mishra set himself the task of fashioning a history in which Asia is the prime mover and Europe, defined by its appetite for empire and agency, is the object of a non-European gaze. Anyone seeking an introduction to the thought of Al Afghani and Qichao, and an excellent essay on Tagore, will be well served by this searching, accessible book. More importantly, Mishra adds to our understanding of political Islam, and of China’s and India’s place in the world. In the wake of the Arab Spring, it is especially important not to write history backward from September 11. Meanwhile China and India garner increasing attention from American readers, though rarely as countries enmeshed in intellectual and spiritual struggle. Intricate debates about tradition and modernity are vital, in Mishra’s purview, and they are enduringly local. The “indigenous modernity” of China and India cannot be reduced to data on GDP, infrastructure, and currency reserves. From the Ruins of Empire takes a strong step in the other direction. EVEN SO, IT is not fully persuasive. Mishra’s knack for brilliant paraphrase is a gift that becomes a problem. Vacillation between paraphrase and commentary clouds the images of Asia and Europe, in Mishra’s writing, depriving East and West of the enriching complexity that both categories deserve. The book’s romanticism about Asia’s past might be Mishra’s romanticism, or it might be a mood he, as a historian, feels obligated to evoke. He writes that there is “the long-established cosmic order of Islam” and the “temporal coherence” of Islam for Muslims in North Africa, India, and South-east Asia—qualities demolished by “the encroaching West.” There is “an extraordinary coherence” to Chinese culture before its collision with “foreign predators and their native enablers.” Across Asia people were “accustomed to living by the light of custom and tradition,” inhabitants of “Asia’s vast empires, its venerable traditions and time-honored customs.” Serene Asia was coerced into “a ruthless international system dominated by the nation-states of the West,” rendering unstable “a life defined by religion, family and tradition.” These were sentiments common to Al Afghani, Qichao, Tagore, and many others. To the extent that they are Mishra’s as well, he lets them float through his book, without taking analytical ownership of them. When speaking in his own voice, Mishra can drift into imprecision. In his description, “the slightest Western contact with Asian lands inevitably sparked a drastic churning—usually for the worse.” Cumulatively, such depictions of a harmonious lost golden age denote an Asia without ferment, without the capacity to churn itself or to damage itself, unless prompted by the West. Though Mishra laments “hoary Western accounts of Asian ‘decline,’ ‘stagnation,’ or ‘Oriental Despotism,’” his references to timeless traditions, crystalline in their coherence, suggest stagnation by another name, variations upon the theme of a feminine, contemplative East versus a masculine, activist West. Edward Said published Orientalism(in 1978) to deconstruct exactly this theme. Its recurrence in Mishra’s book is hard to fathom. If pre-modern Asia is given too soft a glow, the modern West is not so much demonized by Mishra as attenuated. Such treatment fits the book’s design, confirming Mishra’s laudable will to document an Asian modernity in Asian terms. Yet the aesthetic pattern that structures Mishra’s East-West divide—an icon of tradition, not ruthless enough to defend itself, versus a purveyor of change, restless in its will to power—can obscure his message. Mishra offers contradictory verdicts, for example, on Western liberalism in Asia. In one light, “Liberalism in Europe resolutely failed to amount to liberalism in the colonies.” Thus, liberalism was “discredited” in Asia. Napoleon’s invasion of Egypt, in 1798, inaugurated “two centuries of imperial wars disguised as humanitarian interventions.” American soldiers in Afghanistan are “the most recent armed missionaries for Western ‘values.’” The materialist West—from Napoleon to Donald Rumsfeld—is neither a repository nor a sponsor of worthwhile political values. In another light, Mishra notes Europe’s “intellectual and political freedom.” Al Afghani was the inventor of “liberal journalism in Egypt.” “‘The true spirit of the Koran,’” Al Afghani felt, “‘is in perfect accordance with modern liberties.’” Mishra cannot only be referring to modern Asian liberties here. He goes on to write that Gandhi “eagerly acknowledged the many benefits of Western modernity, such as civil liberties, the liberation of women and the rule of law,” though Ghandi considered these benefits inadequate without a spiritual framework. The West has a split personality. Imperialist aggressor and lover of liberty occupy the same body politic, and it was not exclusively the imperialist aggressor who joined East with West over the last two centuries. Mishra is stubborn in his refusal to admit constructive examples of East-West exchange: he avoids, for one, any mention of America’s postwar occupation of Japan. Whatever this occupation was, it was not imperial war disguised as humanitarian intervention. About Al Afghani, Qichao, and Tagore Mishra writes with grace and nuance. After setting them aside, in his conclusion, his tone grows monochromatic, almost Wagnerian. The absence—or impossibility—of a decent relationship between East and West is made explicit. The West is retreating into “parochial neuroses.” The imminent failure of the Washington consensus is no cause for celebration, as a hypothetical Beijing consensus “sounds suspiciously like merely a cynical economic argument for the lack of political freedom”—the illiberal argument in this case of the materialist East. The revenge of the East, when it comes, will not be good for East or West. The twenty-first century is destined be bleak. Pessimism can be bracing, but it provides too grim a coda to Mishra’s sparkling book, much as Edmund Wilson’s optimism about the Soviet experiment inspired too sparkling an exposé of a grim subject. The economic news is bad, and the history is fraught. Yet the lighthouse of cross-cultural intellect, and of superb writing, has not gone dark. Michael Kimmage is an associate professor of history at Catholic University. He is the author of In History’s Grip: Philip Roth’s Newark Trilogy and The Conservative Turn: Lionel Trilling, Whittaker Chambers and the Lessons of Anti-Communism; he is also the translator of Wolfgang Koeppen’s Journey Through America.